Mattessons Strip Sticks were looking dark and dated with very little appetite appeal. 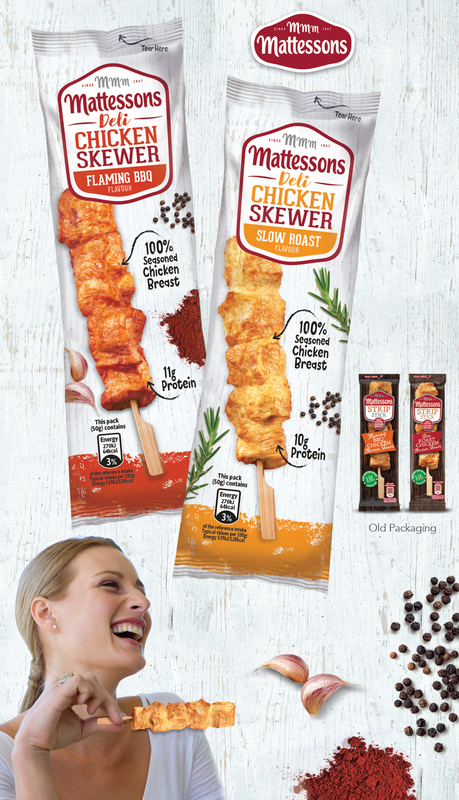 Our brief was to create new packs with the fresh, healthy cues needed to target female consumers and lunchtime meal occasions. 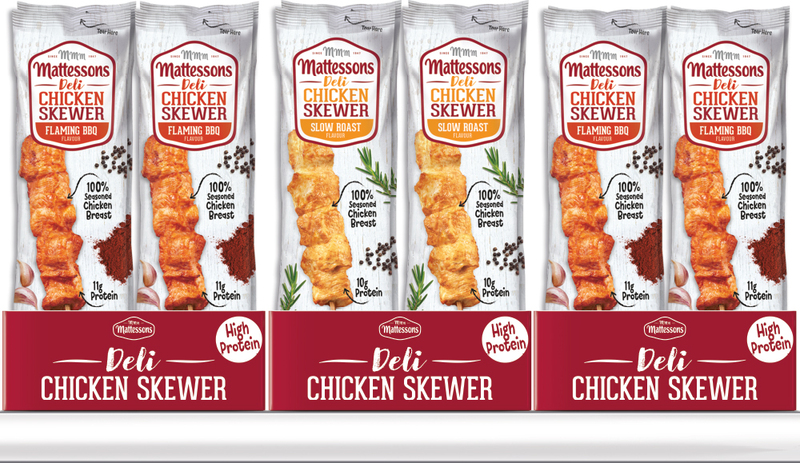 Firstly we changed the name to Deli Chicken Skewers. This sounds much tastier and helps communicate the 100% chicken breast recipe with its healthy eating cues. The wood wash background with herbs and spices give the packs a natural, fresher feel with much more appetite appeal.